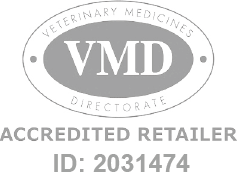 An oral wormer for rabbits as an aid in the control of E.cuniculi and intestinal worms. Panacur Wormer for Rabbits is a Prescription Only Veterinary Medicine and by law requires a prescription from your vet. Routine worming of rabbits is recommended 2-4 times yearly. Dosage: Administer orally by squeezing the paste from the syringe into the side of the mouth. Give 1 syringe graduation per 2.5kg bodyweight daily for 9 consecutive days.